Dallas County officials have announced they have expanded a programme to prevent a further outbreak of the West Nile virus similar to the one experienced in the area earlier this year. A number of measures have been put in place, including monitoring the mosquito population throughout the year instead of in the peak season only, setting more mosquito traps and carrying out more tests to see whether the disease is present. Under the plans, areas in the county where the disease is present would be treated to kill infant mosquitoes before they fly. Ground spraying would also take place where large numbers of adult mosquitoes are present. 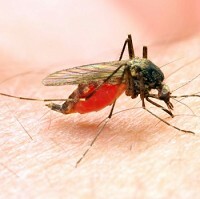 According to the Dallas County Health Department, the current count of human cases of West Nile virus is 338, so it may be worth taking out pre-existing medical travel insurance before heading to the area if you've any ongoing health complaints. John Wiley Price, county commissioner, said officials were moving forward all the time in trying to combat and prevent the disease from spreading. Zach Thompson, county health director, added: "In terms of the outbreak, we're not seeing significant cases, but we're continuing our surveillance, year round."